Corner radius tooling is used for rounding the corners of a part. The UniPunch 4000 Series Radius Tool uses a modified C-Frame holder that allows the production of eight standard radii. This unit is available complete with holder, built in squaring guides and two interchangeable punch and die pairs. 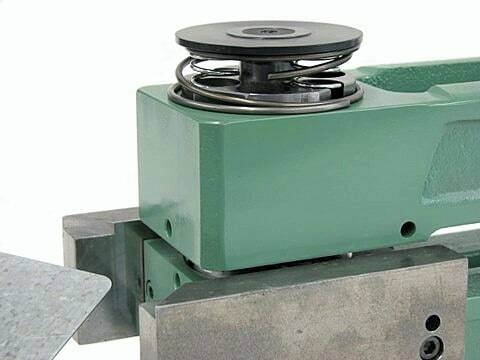 Sizes can be selected simply by rotating the punch and die assembly. Gauging and die clearance are preset and require no adjustment for mild steel up to 10 gauge in thickness. Metric radius sizes are available upon request. Contact UniPunch Quotation Department for pricing. The 4000 radius tool is complete with built in squaring guides to accurately position part. The 4-way radius punch & dies set offers flexibility and speed when different corner radii are required. Simply rotate the punch and die to the desired position and begin producing parts. 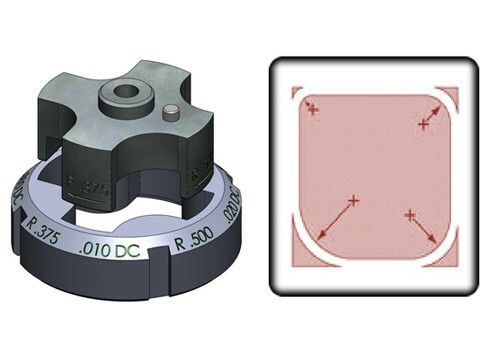 Single radius corner punch and die pairs made to your specifications are available for standard “A” and “B” Series units. Contact UniPunch for a quotation.